Garganega, Malvasia e Moscato Giallo. From the end of September to mid- October with a rogorous selection of the best grapes. Owned vineyards on the hills (300 m, above sea level) of S. Ambrogio di Valpolicella highly suitable land, which is south-facing. 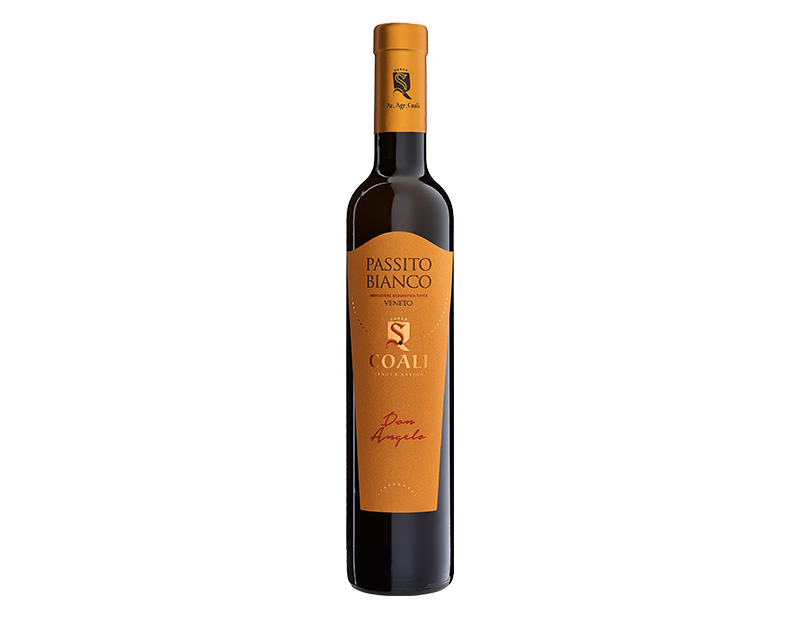 Our Passito is exclusive produced from our own rigorously selected grapes. It follows a drying process of 4-6 months after which the grapes are softly pressed and placed in fermentation. Five or six years in oak barrels and further ageing in the bottle before marketing. Wine with an immense personality with a warm golden colour with hints of amber. Its sweet aroma with hints of walnuts, sweet almonds, apricot and pomegranate pleasantly fills the taster’s nostrils. Velvety and particularly persistent taste with an excellent balance between sweetness and softness supported by a pleasant tang.